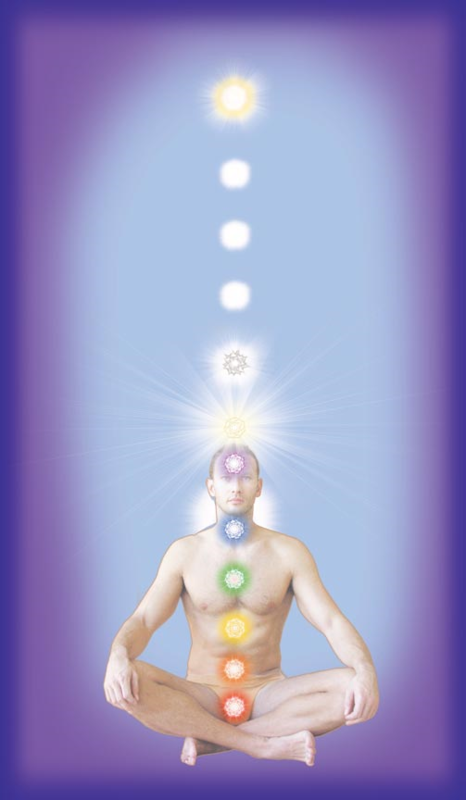 SFH is a scientific system of Energy Medicine that works through the chakra system. This system interconnects the anatomy of the physical body with its reflection in the energy field, also called the aura or the electromagnetic field of the body. This system is a preventative system of healing that also assists to repair and restore the natural vitality and functions of the organs, glands, and systems of the body. It also releases old emotional and mental patterns and blocked energy that are at the core of dis-ease and dis-harmony in the body, mind, heart, and soul. When the energy body or Aura is clear and balanced it allows the innate intelligence and the divine wisdom of the Soul to express itself freely through the personality and the physical body. This allows one to come into balance and harmony with one’s self, one’s environment, the Earth, the Universe and the Heart of God. The existence of the energy field and the chakras has been known and used for thousands of years in Egypt, India and China. It is only recently that the Western mind is beginning to understand its significance. By the time a dis-ease or physical ailment surfaces it has usually been cultivating in the energy field for quite some time. Just as blood is distributed in the body through the circulatory system, energy is distributed from the source of our being through the chakra system, thereby nourishing and sustaining the body. When this flow of energy becomes restricted or distorted it can be the root cause of patterns of dis-ease and dis-harmony at all levels of the physical, emotional, mental and spiritual wellbeing. This is seen in humanity today, in epidemic proportions, as dis-ease in the body and mind as well as unrest in the heart and soul. Medicine as we know it has come a long way, yet has gotten caught in the trap of prescribing and experimenting with medications that have the ability to alter the natural design and chemistry of the body. While we know these drugs can act as miracles in some cases, they can also create additional imbalances in the body. They are being used far too often without looking at the root or causal level of the problem, therefore treating the symptom instead of the cause. Energy Medicine works directly with the innate intelligence of the body and soul to uncover the causal level of dis-ease and dis-harmony in the system. Energy Medicine accesses and works directly at the causal level to restore a greater sense of health and balance to the body, mind, heart and soul. There is no question that there is much to be discovered, yet nearly always the true cause of dis-ease can most often be found in the energy field. If we were to look from the soul level and treat at the root of the symptom held in the energy field at the early stages of a symptom, people would learn how to take responsibility for what is happening in their body and life. Taking responsibility allow us to be better equipped to correct the symptom or to stand up to whatever invasion or imbalance is happening in the system. The patient could then become an equal partner with their health care practitioner in assisting to eradicate the dis- ease. People would have the opportunity to evolve beyond illness…by mastering it, rather than surrendering to it, or fighting it. Soul Focused Healing works with the individual and their relationship with themselves, with others, and their environment. It helps to clear the patterning and places of tension and restriction, both past and present, which may be holding the mind, body, heart, or soul in limitation. As Energy Medicine is more widely understood it would work hand and hand with the medical community as a preventative treatment and diagnostic tool for healing the body and upliftment of the human spirit. Through the healing process we awaken the remembrance of our own soul aligned with God….Ushering in a new wave of spiritual and medical healing. A Soul Focused Healing Practitioner is trained in the art of sensory perception through fine-tuning their awareness and the art of palpably sensing and understanding the energetic anatomy and physiology of the organs, glands, and systems of the body. The practitioner goes in like a cosmic electrician assisting to release blockages, rewire broken circuits, and restore the natural design of the human energy field. This healing system assists in reestablishing the natural vitality and design of the physical, emotional, and mental aspects of the body; allowing the light of the soul to flow through the perfected anatomical design from the Source of Being.